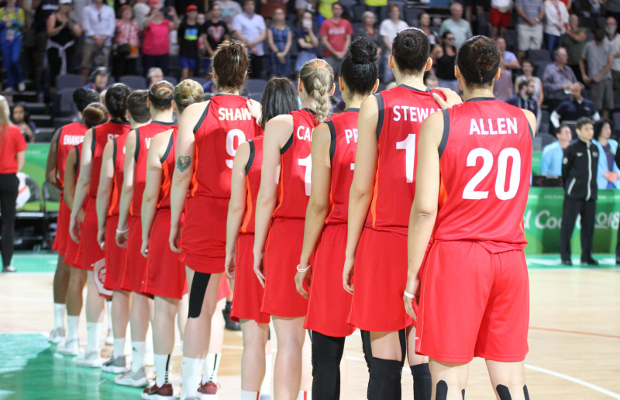 England’s Women secured a convincing 78-51 victory over Mozambique to earn their first win at the 2018 Commonwealth Games, in Townsville on Sunday morning. Chema Buceta’s side bounced back from their opening defeat against Canada and will next face hosts, Australia, in their final pool game with a chance at advancing directly to the semi-finals. Azania Stewart posted a double-double of 18 points and 12 rebounds with Stef Collins also in double figures with 14 points. Georgia Jones added nine points to go with five assists with Melita Emanuel-Carr also scoring nine points as part of a balanced scoring attack. The two teams traded 6-0 runs at the start of the contest before England seized control with a 10-3 run and they would never relinquish the lead. England led 19-14 after 10 minutes and were able to extend their advantage in the second through Collins and Stewart as they helped make it 36-27 at the half. The gap was further increased in the third as England edged a high-scoring quarter 22-20 to take a 58-47 lead into the final period with Emanuel-Carr getting onto the scoresheet with a four-point play. England dominated the fourth to stretch away from their opponents as they were able to complete a comfortable success for their first win at the Commonwealth Games since winning bronze in 2006.